The Dasha and Bukti system provides a system to predict the quality and even the events of your life in particular periods that planets influence the most. Each Dasha or major planetary time period is controlled by one planet and Dasha is further subdivided into minor planetary periods called Bukti. Know which planets are most active in your specific chart with this Planetary Influence Report. 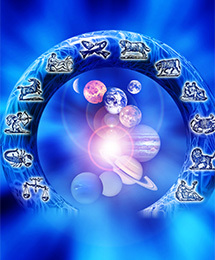 Now you know what Dasa and Bhukti (Major and Minor Planetary Periods) you are going through talk to our expert astrologers to understand deeply how it can influence your life. Book your consultation today! Get a personalized report based on your current Dasa-Bhukti (Major and Minor Planetary Periods) to understand the how these planets influence your life in detail! You can perform Pooja to the recommended deity for your Dasa and Bhukti (Major and Minor Planetary Periods), anywhere, anytime with our exclusive Virtual Pooja!